we do Affordable and quick complete House clean outs .we also do attics, garages Trash, Furniture & Junk removal. recycling and hauling. We do all kinds of removals. Call Mike for a free estimate at 609 652 9555. Complete house clean outs. left broom swept for settlement. Junk and furniture removal, yard clean ups, attic clean outs. Basement clean outs and clutter removal. 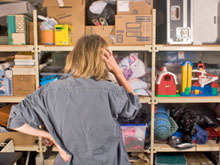 Garage clean outs so you can get that new car in there again! Old Furniture and carpet removal. one piece or whole house. Hauling. Trash removal. We bring everything you need including bags, boxes and trash cans. Relocating Mom or Dad to senior housing ? we can help with that too. Estate liquidation. We give credit for antiques and valuable items and clean out the unwanted items. We take it all. Realtors love us. References available upon request. Buying antiques, art, paintings and sculptures..
Buying gold, sterling silver and jewelry. Hoarder houses are no problem and we are very sensitive to your needs. Houses left broom swept for settlements. Realtors and Estate Lawyers use us all the time. Realtors use and Love US! Emergency service available anytime! Appraisals for Insurance and Estate Equity division purposes available. Excellent references upon request from lawyers, realtors and customers. Call HOUSE CLEAN OUTS R US now at 609-652-9555 or 6094326025 for all of your house, condo, garage clean out needs. We leave the property empty & broom swept clean, ready for closing! !